A pesticide is a chemical substance that is developed to control pests such as insects, fungus and bacteria. It is used in agriculture and prevents infestations in livestock and plants. They are also made to kill rats, fleas, mosquitoes, weeds and ticks. Some of the most common pesticides can come in the form as rodenticides, bactericides, animal repellents and disinfectants. 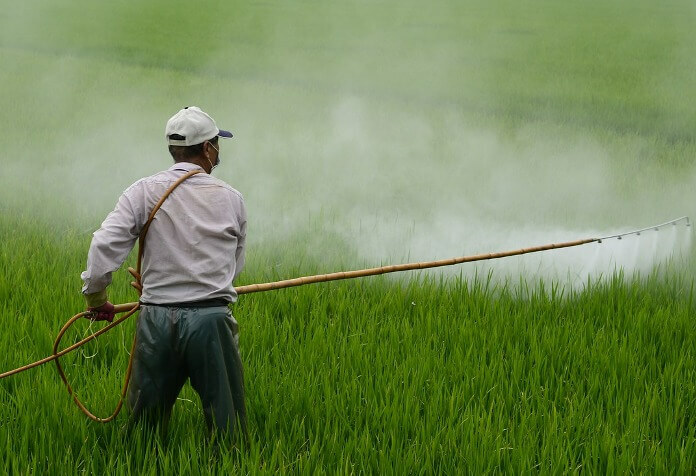 Since pesticides are made to deter pests, they contain potent ingredients such as acephate, bendiocarb, boric acid, Bacillus thuringiensis, and paraquat. These are dangerous substances that can cause health problems that include cancer, respiratory illness and seizures. If you are exposed to these substances over a long period of time, you can acquire Parkinson’s disease, leukemia and asthma. Currently, there is a Paraquat lawsuit for agricultural workers who have developed Parkinson’s disease. How are You Exposed to Pesticides? There are several ways that people are exposed to pesticides that include breathing in the substance, dermal exposure and oral transmission. When these toxins enter into your body, they can cause numerous health problems. When someone breathes vapors, aerosols or dust, there is a chance that they are inhaling a hazardous substance. Oral exposure can occur if you eat or drink contaminated water or food and dermal exposure happens when the chemical gets into your skin or eyes. The fruits, vegetables and grains that are consumed in the United States contain a detectable amount of pesticides when they reach your home. Even though food manufacturers are supposed to meet and follow safety standards and guidelines on all foods, pesticides are still widely used in the food industry. The number of pesticides on your fruits, vegetables and grains are still cause for concern and may contribute to serious health problems. The products that you use to control pests in your home are dangerous to your health too. They are typically ready-to-use, convenient and are portable. Although they can control pests in your household, these products can be inhaled easily and cause respiratory illness. When you handle a water-soluble pesticide, it can enter into your body through your skin when it splashes on you. These types of pesticides come in powder, liquid and granular forms. Even though pesticides are intended to kill pests, they are harmful to humans and animals. They contain dangerous substances that can affect children and cause autism, learning disabilities and birth defects. They can also affect reproductive systems and cause cancer, diabetes and asthma. The chemicals found in pesticides are also attributed to Alzheimer’s disease and Parkinson’s. Autism is a developmental disorder that affects children and can be a lifelong medical condition. The signs of this disorder are impaired language skills, lack of concentration and having a robotic speaking voice. It causes a child to have learning disabilities, speech delays and sensitivity to sound. If a woman is exposed to pesticides when she is pregnant, she can become susceptible to having a miscarriage, and her baby may develop serious birth defects. These defects can include low birth weights and developmental problems. If you are exposed to pesticides, it can cause Alzheimer’s and Parkinson’s, which are neurodegenerative diseases. The substances in these pesticides are neurotoxic and affect your nervous system. They can contribute to memory loss, behavior problems and can be fatal in some cases. The signs of being exposed to pesticides depend on your sensitivity and can range from mild to severe. Mild poisoning consists of headaches, dizziness, nausea and sweating. You may also have irritated eyes, nose and throat, and your skin can be affected. You can become restless, experience insomnia and have diarrhea. Moderate poisoning can consist of a rapid pulse, muscular incoordination and excessive perspiration. If you are severely poisoned, you will not be able to breathe, have chemical burns on your skin and lose your reflexes. The continuous exposure to pesticides can lead to unconsciousness and death. Even though the effects of pesticides may not be recognized right away if you have been exposed on a continual basis and develop an illness, it can be due to exposure. It is imperative that you receive the proper medical treatment necessary to treat your symptoms.